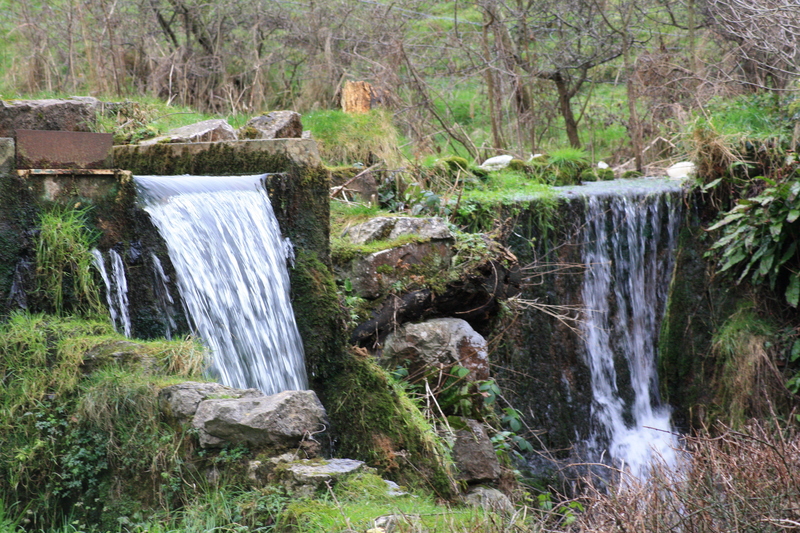 The spring was first diverted to supply these communities in around 1881. 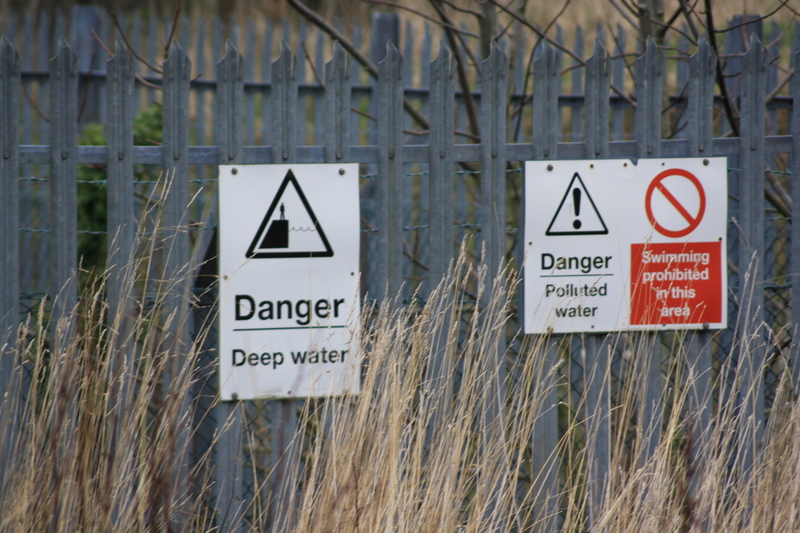 Now, at the start of the 21st century Ffynnon Asa is surrounded by tall metal spikes, fences, keep out and danger signs. 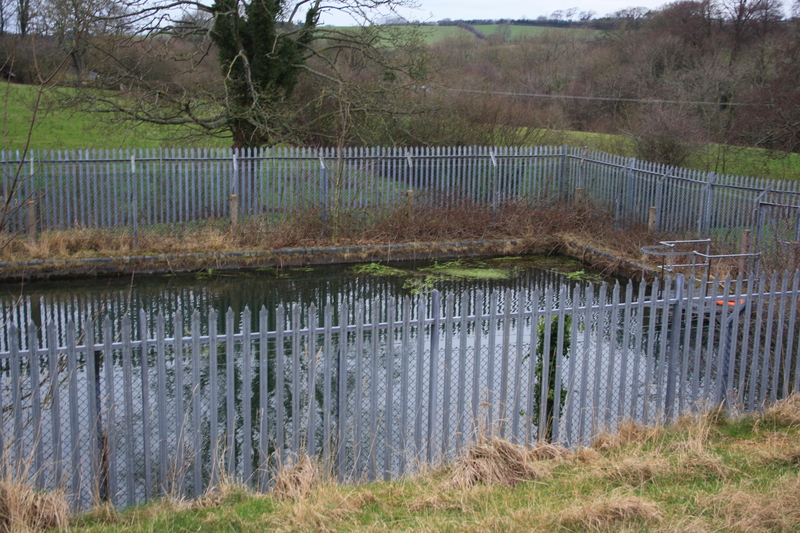 The well, that was once resorted to for cures for “nervous disorders” and rheumatism is now part of a reservoir, polluted and unsafe for bathing. 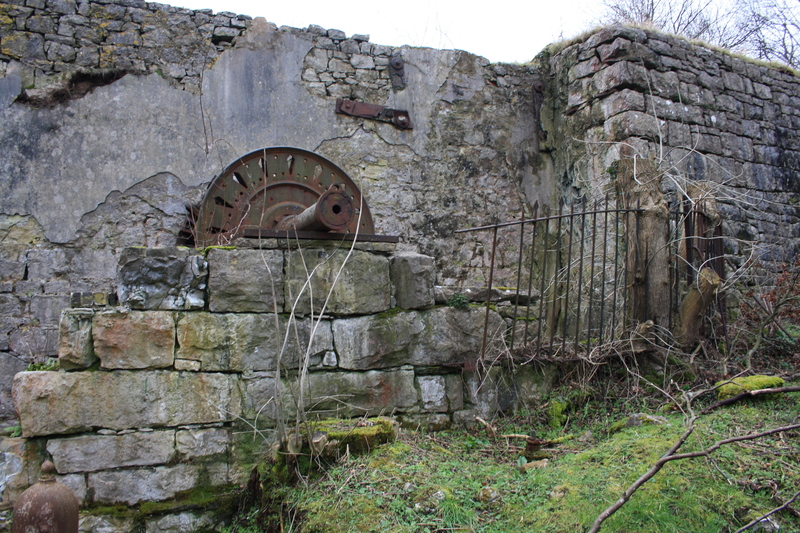 This power was readily harnessed for water mills, the streams were modified and diverted. Below the well at Felin Fawr the remains of a massive wheel can still be seen, with the aqueduct that carried the wheel water now dry and bypassed by a new channel. A little downstream the remains of further, smaller mills can be seen. It isn’t clear where the well actually rises today. Most sources seem to suggest that there is a locked brick building beyond the reservoir that houses the outlet from the hillside. 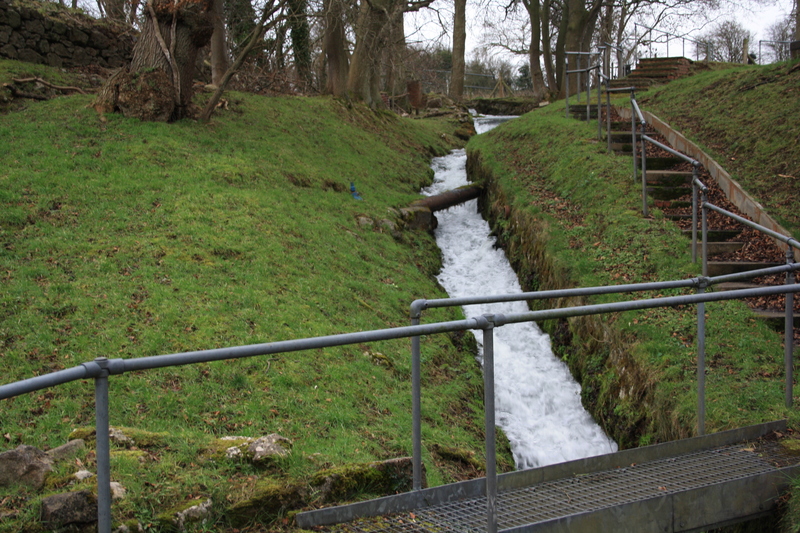 Although the water still flows vigorously downhill it is possible that more is drawn off and piped away for use elsewhere. Ffynnon Asa is about a mile to the north east of Cwm. We reached it by following the footpath running up the side of the churchyard and then joining up with the Offa’s Dyke Long Distance Footpath which runs beside the well. 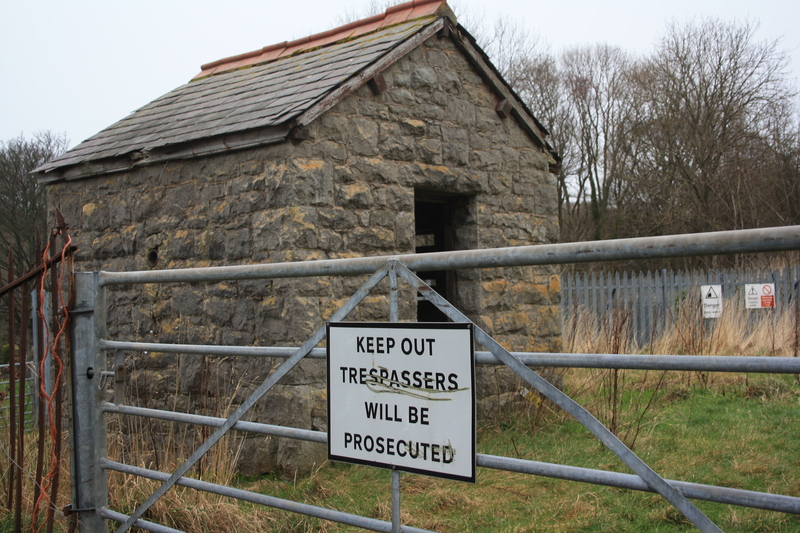 Despite the changes it remains a dramatic sight in the landscape overlooking the sea above Prestatyn, and seeing it and its setting demonstrates how the use of the well has continued and changed over the centuries. Apparently during the late eighteenth and much of the nineteenth century the rivers were diverted upstream of Dyserth and for much of this time the water fall was dry. It was dry at the time of Johnson’s visit, although the stream was diverted back so that he could see the spectacle. Towards the end of the Victorian era it was reinstated and has been a tourist attraction in the area since then. 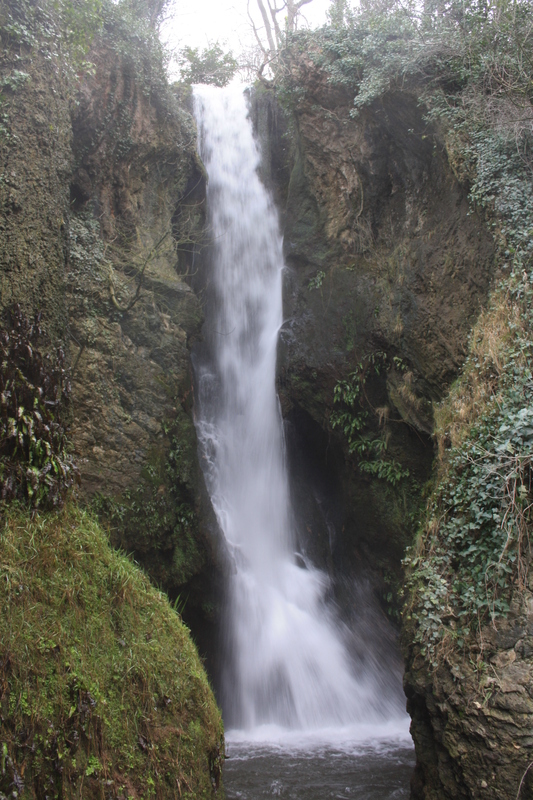 Just to add that the Dyserth waterfall is still there and can be visited. Google ‘Dyserth waterfall’ to see some good photographs of it. I’ve driven down Waterfall Road in Dyserth often enough, and never got round to stopping off to see it. I think the books suggest it is much less powerful than it was before the mills diverted the river, whether this is the case or not it does still look an impressive sight.